One of the many privileges of owning an independent bookstore is the opportunity to meet, talk to and read nationally acclaimed authors. For book geeks, this is the ultimate brush with fame. Even more exciting, however, is the discovery of writing talent right here in our small mountain community. Today I want to tell you about our own Stacy Childs and hisnovels, “Block 10,” published last year. Sue Krall is owner of Off the Beaten Path Bookstore and this review first appeared in the Steamboat Pilot and Today. Book reviews: Would you fly away? I, on the other hand, would fly away in a heartbeat never to look back or to question my actions, which is why I eagerly picked up Mary Doria Russell’s Sparrow series and found it impossible to put down, both "The Sparrow" and her second book, "Children of God." Would I still fly away in a heartbeat? I have to say that Mary Doria Russell changed my mind. This week's review is by Alysa Selby, a digital services librarian at Bud Werner Memorial Library. 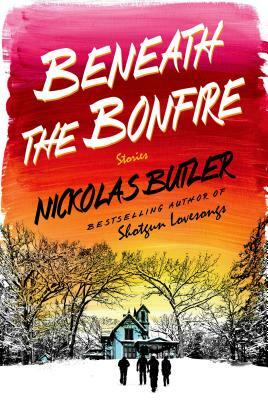 This review was first published at Steamboat Today. This week, at 6pm on Wednesday May 27, we welcome John Valliant to our store as part of our Books and Brews series! To honor the occasion, Emily Katzman, one of our booksellers, shared this review with the Steamboat Pilot. “The Jaguar’s Children,” by John Vaillant, is a critical, engaging novel that tells the story of Mexico, the United States and the border between; this is the story of two young men whose hopes for their individual lives and the homeland they love have been dimmed in the looming shadow of el Norte. 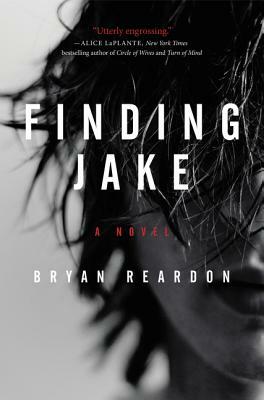 "Finding Jake," by Bryan Reardon, is one of those novels you’ll have a hard time putting down. It is very reminiscent of the 2012 novel "Defending Jacob," by William Landay. If you enjoyed the novel by Landay, "Finding Jake" is an absolute must. Like "Defending Jacob," "Finding Jake" tells the story of a son suspected of a terrible crime, told through the perspective of his father... (Steamboat Pilot book review by Emily Veenstra-Ott, tech services/collection management librarian at Bud Werner Memorial Library). In April, the ABA announced “The Martian” as the Indie Choice Book Award for Adult Debut Book of the Year. There has been a lot of praise and hype around this book since its debut. It’s all well deserved. 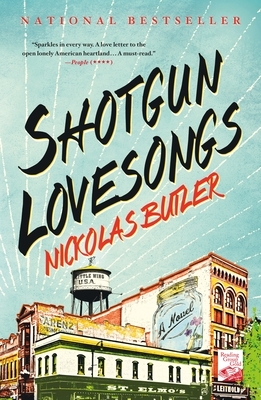 Instead of being a boring, techy tome, it is a riveting, barnburner of a story. Check-out Kim Brack's book review for the Steamboat Pilot and Today! In the spring of 2013, my MacMillan publishing representative, Jeff, excitedly told me about an upcoming novel. It was being published in March of 2014 and the author would be at our fall regional sales meeting. I went to dinner with this author. We talked about the book and its characters. And, while I was fascinated by the story that I was being told, the book sat…and sat. I couldn’t get around to reading it. Finally, in late summer of 2014, I read it! And, I needed to talk about it. I was forced to call my rep and admit to him that it had taken me that long to get to this book that he loved. I was embarrassed, but so relieved that I had finally picked it up. (This book review, by Sue Krall, first appeared in the Steamboat Pilot). May marks the 100th anniversary of the sinking of the luxury liner Lusitania, and once again, Erik Larson, author of “The Devil in the White City” and “The Garden of Beasts” provides great historical detail of a world-changing event. This book review by Candace Peterson about the book "Dead Wake: The Last Crossing of the Lusitania," by Larson, originally appeared in the Steamboat Pilot. Jennie Lay is the adult programs coordinator at the Bud Werner Memorial Library, and this week she reviews two books: “The Harder They Come” by T.C. Boyle; and “Epitaph: A Novel of the O.K. Corral” by Mary Doria Russell who will be a featured author at Bud Werner Memorial Library’s 23rd annual Literary Sojourn festival of authors on October 10, 2015. (This article orginally appeared in the Steamboat Pilot). The following are two of Emily Katzman's favorite cookbooks, both of which feature delicious and simple recipes in which vegetables are the stars of the plate. The authors of "Thug Kitchen" boldly claim the motto, “eat like you give a f*.” Uncouth? Yes. In "Brassicas: Cooking the World's Healthiest Vegetables," Laura Russell gives these vegetables a PR makeover and demonstrates how delicious veggies can be when prepared properly. (This article originally appeared in the Steamboat Pilot).